So we have come to another week and I have decided to switch up the format of these caravan blogs. I really didn’t like the cold nature of the old ones, too many numbers and not enough conversation. My plan from this point on is to make this more about the things that make a home interesting. You will still get prices and cities but it wont look like a spread sheet. This is going to be more about what makes a home interesting. Now just bare in mind that these are the homes that are on caravan in the Arcadia Association of Realtors weekly meeting so I cant take pictures of everything. This is just a little taste of what we see when we are in the field, if you want more information about a home or have questions about something you see, you can always click the contact me button at the top. 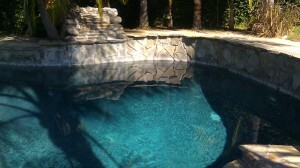 Pools are a big Part of Southern California living, and like houses they come in all shapes and sizes. 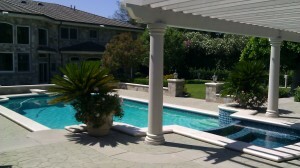 This northern Monrovia home featured a pool with stone affects all around and a waterfall for added atmosphere. The home was in a great location and had an excellent floor plan and a giant walkin closet. Priced right at $799,000 considering everything you got. Now if you are looking for something a little bigger this Sierra Madre home had a hot tub/pool that was HUGE! Located East of Santa Anita this $6.6 Million dollar home featured a library, 2 theaters (one was used as a game room) and tennis courts. I’ll be honest, even with all these things, I feel this house is overpriced but still a great home for someone looking for a palatial estate. Remember there is always room for negotiation. Now lets say you are in the market for something a little more on the modest side. Sometimes the best part of a house is its potential. This Duarte home is located south of Duarte road and is in need of some TLC. This hot tub looks like it could be something you would make wine in, but if the right buyer gets a hold of it this could come out great. Remember there are all types of buyers out there. I can’t tell you how many calls we get from people looking for homes they can fix up. These are either investors or people looking to make a home truly theres. 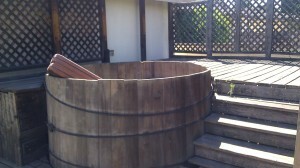 At around $200,000 investors and home buyers alike have a great opportunity with some interesting conversation pieces. So lets step away from the pool area and head inside. Southern California is also known for some of its more eccentric personalities. Perhaps you or someone you know likes new age living. 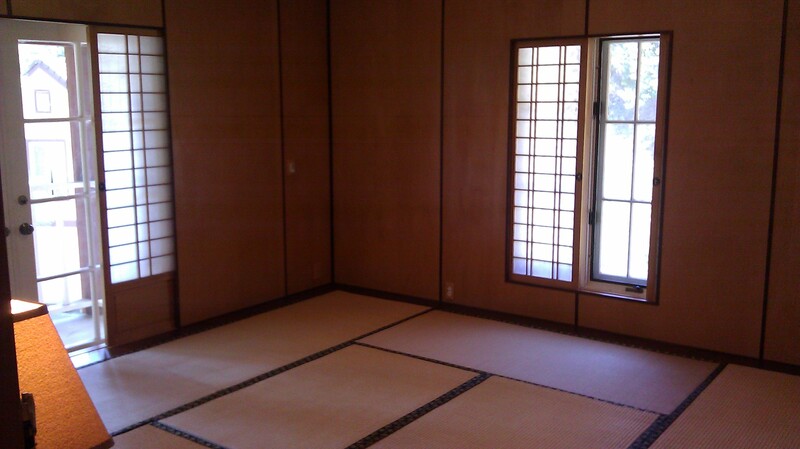 This is a Japanese style meditation room, complete with sliding doors and raised floor. Perfect for when you want to come home and get away from it all and reflect within. 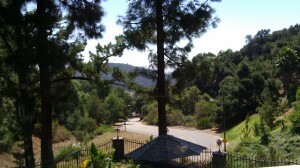 Located in the hills above Arcadia this house also featured a huge library and an elevator. On top of that you have your back to the foothills and the front has a great peaceful view. Check out the picture below to see the view. For $2.6 Million this house is kind of hard to price. Its unique and as much as I love this room I’m not sure if everyone else will. What do you think? Here is the view from the bedroom. I think I might see a deer. So what did you guys think of some of these houes? Love it? Hate it? Please leave your comments below. Of course if you are interested in seeing any of these homes in person just click the Contact Me button at the top of the page. 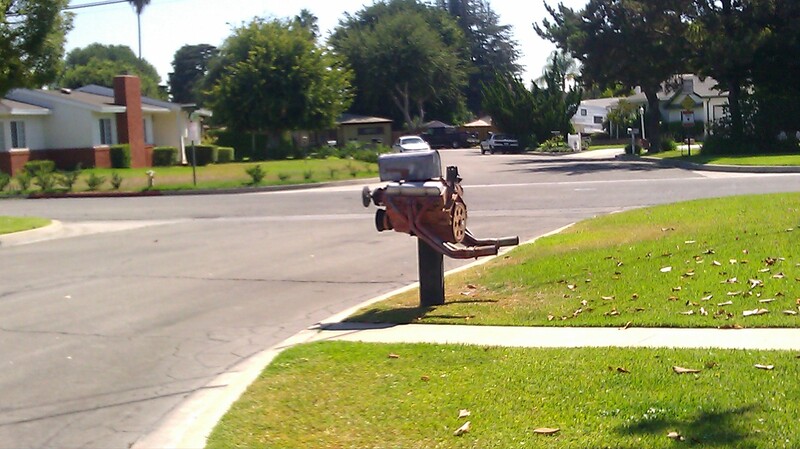 I leave you guys this week with the first Motorized Mail box I have ever seen. Enjoy!